With the sun having set over the Californian desert, it is time for sunny Florida to take centre stage. The 2017 season's second WTA Premier Mandatory event – the Miami Open – is all set to kick off with the main draw action beginning on Tuesday. The eight-time winner Serena Williams is a big absentee this year and so is the defending champion Victoria Azarenka. Nonetheless, the field is still heavily loaded with rich talent who can produce some memorable matches. Angelique Kerber has just wrested back the No. 1 ranking after Serena's withdrawal due to a knee injury and pressure to perform will be huge for the top seed. Her road to the title is not a hassle-free one and an early upset of the German won't be very surprising. The second-seeded Karolina Pliskova, in contrast, has been very consistent. It remains to be seen if she can take advantage of her relatively easier draw. If Angelique Kerber had hoped for a hassle-free draw on regaining the No. 1 ranking, she is in for a disappointment. Her road to the title is as slippery as it can get with dangers lurking in every corner. She is likely to start off her campaign against her compatriot Laura Siegemund but her nemesis Daria Kasatkina will possibly be awaiting her in the third round. The 19-year-old got the better of the German southpaw twice this year and would be aiming for a hat-trick. If Kerber can wriggle out of that duel, the path ahead is no less treacherous for the top seed. One of Venus Williams, Kristina Mladenovic or Svetlana Kuznetsova is the 2016 semi-finalist's potential quarter-final opponent and that surely does not make her chances look too promising. While Venus is a three-time champion, Mladenovic has won a title this year besides reaching another final and Kuznetsova is a former winner and last year's losing finalist apart from coming off a runner-up finish at Indian Wells. Having said that, they themselves have a few tricky opponents to deal with before they can even meet Kerber. The Russian, who squandered the BNP Paribas Open final to Elena Vesnina after being a set and a break up, will have to prepare for a barrage from the big-serving Kristyna Pliskova's racquet as early as the second round. Venus and Mladenovic, meanwhile, are set to clash in the third round and it has all the ingredients to be a blockbuster. Second quarter: Can Halep find her mojo? The third-seeded Simona Halep heads this quarter of the draw. 2017 has not yet been very kind to the World No. 5 and she failed to make it to even a semi-final in four tournaments. Could Miami be the place where she finally gets back her mojo? The former semi-finalist has a lot of hard work to do if she wants to do justice to her billing. The uber talented teenager, Naomi Osaka will be waiting for her in the second round and that is a not a comfortable opener for the Romanian by any means. Caroline Garcia, who knocked out the 11th seeded Johanna Konta at Indian Wells, should be her fourth round opponent. Konta or Madison Keys should come through from the other half of this section to set up a possible quarter-final meeting with Halep. Keys, who returned to action at Indian Wells after a wrist surgery, showed that she is already hungry to make up for lost time. The American is definitely bolstered by her fourth round run in the desert and will be hoping to build on it further. If Keys gets a few wins under her belt and makes it to the last-eight, she would present a challenging prospect to Halep. The third quarter is a stacked one and Elena Vesnina will need to summon all the courage and conviction she displayed during her title-winning run at Indian Wells if she wants to become just the fourth WTA player in history to complete the coveted 'Sunshine Double'. The Russian has been huddled together with the fourth seed Dominika Cibulkova, Lucie Safarova, Daria Gavrilova, Ana Konjuh, 12th seed Caroline Wozniacki, Belinda Bencic and sixth seed Garbine Muguruza in the same quarter. Just the names are enough to suggest that most matches from this section will be of high quality. The newly-crowned BNP Paribas Open champion has to get down to work soon enough after her fairytale run for she can come up against Safarova or Gavrilova in Round 3 either of whom is tricky. Cibulkova will then present a stern test but the first the WTA Finals champion herself has to get past the fast-rising Konjuh. Wozniacki or Muguruza in the quarter-finals will make it an even tougher job. The Dane has been resurgent this season and made it to back-to-back finals at Dubai and Doha, besides a quarter-final show at Indian Wells. 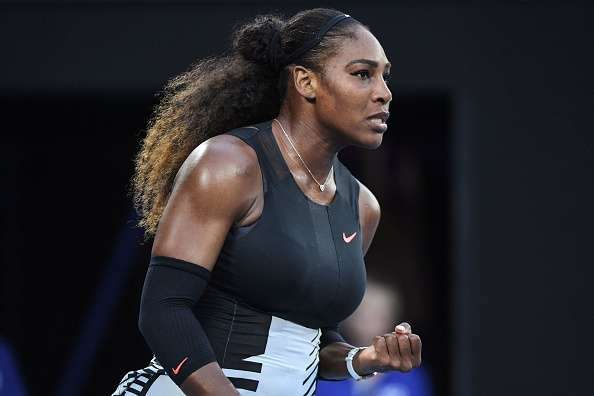 She is the most consistent performer out of all these names from this part of the draw and would very much aim to make amends after her three-set quarter-final loss last week. Muguruza has been showing flashes of her brilliance but can the French Open champion hold it all together to penetrate the Danish wall? Karolina Pliskova had a shot at the No. 1 ranking if she won both the Indian Wells and Miami titles. She fell to a red-hot Kuznetsova in the semi-finals in two tie-breaks. She will be looking to rebound in Miami, a tournament where she has never made it past the last-eight stage. With the consistent results she has notched up this season, she should be all set to progress even deeper into the draw if she can emerge victorious in a very tricky opening round. The aggressive 19-year-old Jelena Ostapenko is projected to be the first player that the second seed will be facing in sunny Miami. The young Latvian lost to Pliskova in a narrow three-setter at the Australian Open and there is every chance for tennis fans to get to witness such an enthralling battle again. With Yulia Putintseva, Coco Vandeweghe and Barbora Strycova awaiting in the next couple of rounds, Pliskova can be expected to secure a quarter-final berth where she can come up against ninth seed Elina Svitolina, Anastasia Pavlyuchenkova, Mirjana Lucic-Baroni or fifth seed Agnieszka Radwanska. The meeting with Svitolina was highly anticipated even in the Californian desert until Muguruza ended those hopes when she snapped the 15-match winning streak of Svitolina. But before the Ukrainian even has Pliskova in her sights, she has to surmount Anastasia Pavlyuchenkova, the very player who sent her packing in Melbourne two months ago. Their probable third-round showdown should be one replete with shotmaking skills of the highest quality. Former champion Radwanska has surprisingly been off since ending as the runner-up at Sydney back in January. In her very next tournament which was the Australian Open, she could shockingly muster only five games in a one-sided second round loss to Lucic-Baroni. The Pole faces that same player in the third round in Miami. Needless to say, Radwanska has every reason to feel concerned about her draw. Lucic-Baroni also had the major scalp of Pliskova en route to reaching the semi-finals in the season's first Major and it be interesting to see if she can find inspiration from that performance to have another go at the in-form Czech. Miami Open 2019 Women's Singles: Can Naomi Osaka make it big this time?